I got to ride the holiday train just by pure luck tonight at Washington/Dearborn blue line and the platform was packed. i saw the train coming and felt a bah humbug coming on cause I knew it would be packed. I felt like maybe I could become a sardine for a few minutes and boarded. The train was crazy packed, I was laughing at some guy who was pinned in the center of the doors, I was pinned pretty good myself. That's about the tightest quarters I've been in, good thing I'm not claustrophobic. So I rode on it, it was pretty wild until Western where it cleared out a hair, it mostly cleared out at Logan Square, but got crowded again at Belmont. It was pretty crowded all the way out to Harlem. I noted Sprint has put full length (standard card size) card cards advertising it's product. 2 per car section on the ends, 4 per car section in the car middle. I noticed alot of crew photos were missing and the hokey advertising was too, but there was a few, I saw one crew person photo in #2896 and a few hokey advertisements like half what was there before. I noticed they put rope lights around the inside door and tops of the windows. i don't remember that before. There were droves/hoardes of people waiting on the platforms some couldn't get on. They really need a 2nd train following the first. It was kind of comical watching these people who were running around with their cell phones, it was pandemonium. I was thinking damn, it's not like this is the #7000 series!! I had one question for Santa I would have liked to ask before he left us. Is Forest Glen getting the #8200 series? But jolly old Saint Nick would probably say "Ho!! Ho!! Ho! !, well sonny, if you believe it will happen then it will, you see it's belief that gets us there, it is why I am here. Ho!! Ho!! Ho!! And away he flew on the CTA Blue!!
" Is Forest Glen getting the #8200 series? But jolly old Saint Nick would probably say "Ho!! Ho!! Ho! !, well sonny, if you believe it will happen then it will, you see it's belief that gets us there." Usually Santa is a rail service/ shop crew person so I doubt he would know what a "#8200" is......I sure don't, LOL. Suggestions that people look at riding the Holiday Train on days when its not crowed is good thinking. The Hoilday Train is run as an extra. Two routes can only accept a six-train.....the Yellow line can only accept two-car trains. EDIT...... Thinking it over, of the eight routes, six can accept the Holiday Train, and two cannot...Purple and Yellow. To run in the Purple north of Howard, crew cuts out the rear car. Remember, the Holiday Train is really a seven train consist with Santa and his sleigh aboard the flat car. Rail control has the ability when the Holiday Trains backs up the normal schedule the run trains around the Holiday Train between Fullerton and Belmont. Those battleship sized strollers are still a problem. I remember even a Radio Flyer wagon on one trip. OK, I'll bite. They're running the holiday train on the Yellow Line on 12/23. Two car consist (one passenger and one flat car) or three cars (two passenger and the flat car)? Three two-car trains with no flatcar. In other words, the normal in-service trains between approximately 3-7 PM will be run with the holiday train pairs. 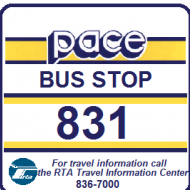 Juniorz and Pace831 are correct. I got to ride the holiday train just by pure luck tonight at Washington/Dearborn blue line and the platform was packed. i saw the train coming and felt a bah humbug coming on cause I knew it would be packed. I felt like maybe I could become a sardine for a few minutes and boarded. The train was crazy packed, I was laughing at some guy who was pinned in the center of the doors, I was pinned pretty good myself. That's about the tightest quarters I've been in, good thing I'm not claustrophobic.There were droves/hoardes of people waiting on the platforms some couldn't get on. They really need a 2nd train following the first. Maybe they can get some phone company to pay for it. Now if they only thought to use #5000's, they could fit more people on per car thanks to the longitudinal seats!! Seriously, they should do a #5000 set in addition to a #2600 set because they will be exploring this anyway in 5 years. If it fails it is the backup right. Having back to back Xmas trains would be able to handle the bigger crowds and maybe they could decide to run either train on the smaller lines. They wouldn't be relying on one old train to get the job done. The question is how they're going to handle the trains if they're both in the same area. "Mom, why are there two Santas at Clark/Lake?" I would assume different lines, at least keep the intersections down. At least it isn't like the old days when Santa was simultaneously at Marshall Fields, Carsons, Goldblatts, and Montgomery Ward. Coming soon...... about 2 and a half weeks from now...... the 2016 Santa's Express Train returns from it's Long-Term Hold. Who's ready to see it decked out??? 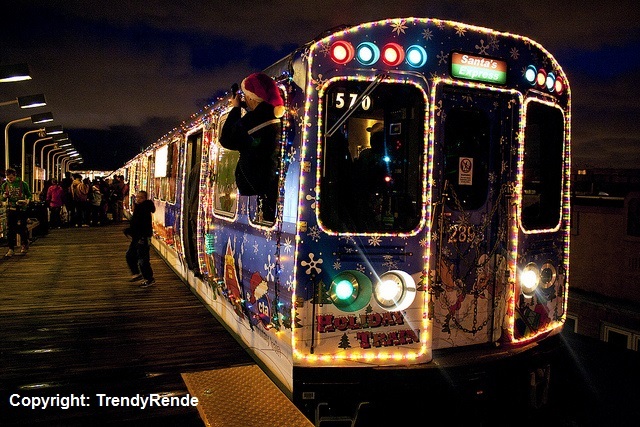 Read online that the holiday train begins this weekend with a start on the Red Line. 2017 Jewel Osco CTA Holiday Train schedule is up on the CTA website. I bet that Jojo, the cyclops cookie monster, will be riding. Must be a big draw for Mariano's. Got a chance to ride the Jewel-Osco CTA Holiday Train yesterday on the Brown Line. Crowded as always, but nice to do.... however, no "1225" run number or Candy Cane to mark it... thankfully it was slow loading and unloading, or I would've missed it. 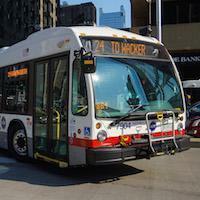 CTA might want to look into that. @Busjack & @Kevin, no Jojo sightings. I think he'll remain off the train. @garmon757, awesome shots on the Red Line! @Busjack & @Kevin, no Jojo sightings. I think he'll remain off the train. If you're still employed by them, do you mean they didn't give you a suit and tell you to get to work? Nope. Just enjoy the ride. Also, plenty of car cards, but not one for local Lucerne Dairy Farms egg nog. The initial schedule and dates for each route for the 2018 Holiday Train is up on the CTA website. The link is below.